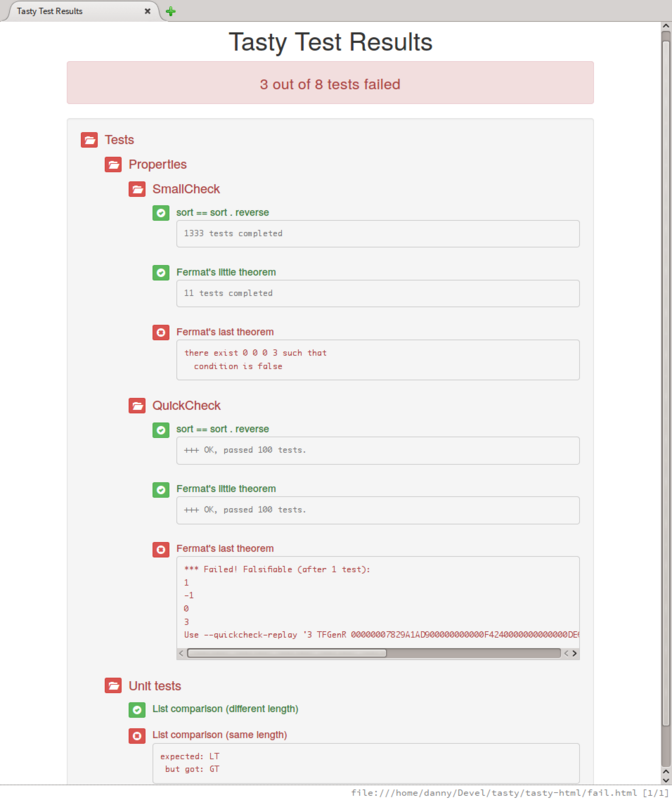 A tasty ingredient to output test results in HTML5. HTML test reporter for the Tasty test framework. When cloning this repository use --recursive parameter to checkout the git submodule pointing to the bootstrap fork being used by tasty-html. Making changes to the bootstrap fork is the same procedure followed by the upstream project. This assumes you have grunt-cli installed globally, either with npm (npm install -g grunt-cli) or from a package manager if available. Consider submitting your changes as pull requests to the tasty-html bootstrap fork at https://github.com/jdnavarro/bootstrap.